That’s the number of racial minorities on the 143-officer Scranton police force. Meanwhile, Scranton has morphed into a fairly diverse city in recent years. The 2010 census reported the city was more than 5 percent black and 3 percent Asian. More than 80 percent is white. About 10 percent of the population is Latino. With the mostly white police force in Ferguson, Missouri, making headlines while trying to quell protests from the mostly black town residents after a white officer shot a black teenager last month, the lack of diversity in police departments, and the problems that come with it, have been pulled back into the public eye. Northeastern Pennsylvania‘s seven counties could collect more than $4 million per year for transportation projects starting next year if officials assess an optional $5 vehicle registration fee on their residents. The state’s $2.3 billion transportation bill authorizes counties to collect the optional fee. State Department of Transportation records show the region’s drivers registered 826,694 vehicles in 2012. Leaders in Lackawanna and Luzerne counties, which together could collect $2.36 million of that total, initially sounded more open to the idea than their more rural counterparts. A national research group ranked the Scranton/Wilkes-Barre area’s roads among the bottom third of the nation’s mid-sized cities. More specifically, TRIP ranked both cities and the surrounding suburban areas 17th worst among 62 urban regions with populations between 250,000 and 500,000. Thirty-two percent of the region’s roads are “in poor condition and provide a rough ride,” according to the report that TRIP released Thursday. The average motorist in the Scranton/Wilkes-Barre area pays $539 annually in vehicle maintenance costs related to the substandard roads, which TRIP ranked 18th nationally. As grim as the numbers are, Monsignor Joseph P. Kelly anticipated worse. New U.S. Census Bureau estimates released Thursday showed deepening poverty across Northeast Pennsylvania, particularly among children. In Scranton, more than one of every three children – a whopping 33.5 percent – lived in poverty in 2012. Throughout the Scranton/Wilkes-Barre/Hazleton metro area, the rate was one in four among kids and one in six across the entire population. “I’m not surprised other than I thought the numbers would be higher overall,” said Monsignor Kelly, executive director of Catholic Social Services of the Diocese of Scranton. That he was wrong didn’t make him feel any better about the figures or the misery they represent. Tribune Co.‘s $2.73 billion acquisition of 19 television station’s from Local TV Holdings includes a major player in Pennsylvania, Scranton/Wilkes-Barre ABC affiliate WNEP. The station, a prominent source for local news in the coal region, is among those Tribune is acquiring in a deal announced Monday that would make the Chicago company the largest TV station owner in the United States. The deal also significantly increases Tribune’s stake in Pennsylvania. Tribune, which publishes The Morning Call, already owns WPHL in Philadelphia and WPMT in York. WNEP will expand the reach of the company’s television assets into 21 northeastern Pennsylvania counties, the state’s fourth-largest television market. That area has a total of 581,020 homes with television viewers, making it the No. 54 market in the country, according to the Nielsen Co.
With Opening Day for the Scranton/Wilkes-Barre RailRiders fast approaching, the Lackawanna County commissioners raved about the new PNC Field and plans for the baseball season at their meeting Wednesday. They said fans will love the new $43.3 million stadium and its amenities, though plenty of tickets remain for the return of minor league baseball to the region on April 4. Commissioner Jim Wan-sacz said club- and suite-level seats are sold out for the next three years, but conventional seating is still available. “There’s probably about another 2,000 tickets available for opening day,” Mr. Wansacz said. The stadium seats 10,000. Residential unemployment in the Scranton/Wilkes-Barre metro area increased three-tenths of a percentage point in January to a seasonally-adjusted 9.8 percent, the highest rate of joblessness among the state’s metro areas for 33 consecutive months. That’s eight-tenths of a percentage point higher for the region than January 2012, according to data released Tuesday by the state Department of Labor and Industry. It’s not as bad as it looks, experts say. The increase was due to the growing number of people joining or rejoining the labor force and looking for work. The labor force grew faster than the number jobs available during the year. The number of people working or looking for work grew 10,400 for the trailing 12 months, while the ranks of the employed increases 7,100. The difference – 3,200 – were counted among the unemployed. 8-year-old Susquehanna County boy died Monday when wind from superstorm Sandy knocked a tree limb onto him north of Montrose, authorities said. And while widespread power outages have left nearly 150,000 in the dark, Northeast Pennsylvania, for the most part, escaped the devastation Sandy left in many other areas. “We can report back that everything is in really good shape,” Lackawanna County Commissioner Corey O’Brien said at a 6 a.m. briefing. In Lackawanna County, eleven 911 dispatchers and two supervisors handled 1,313 calls from 3 p.m. Monday through 6 this morning, with downed power lines being the main source of problems. After a massive consolidation of the region’s health care industry, Community Health Systems has become the largest private employer in Northeast Pennsylvania. With about 6,500 employees at eight area hospitals and nonhospital entities, Community Health Systems has even surpassed Tobyhanna Army Depot, which has about 5,400 workers. “Whenever you have an employer that size, clearly that has a huge impact on the economy, not just for the people we employ, but those folks go out and buy houses and cars and gas,” said Cornelio Catena, CEO of Wilkes-Barre General Hospital and Commonwealth Health, the umbrella group for Community Health Systems’ area hospitals. Nearly one in every three children in Scranton lived in poverty in 2011, according to a new census report released Thursday. In Lackawanna County, about one in every five children lived in poverty last year, while in neighboring Luzerne County, about one in three children did, U.S. Census Bureau estimates show. Overall, on average, about one in every seven residents in both Lackawanna and Luzerne lived in poverty in 2011, the figures show. In Scranton, nearly one in four city residents lived in poverty. The poverty numbers underscore what local community leaders already know: More people in Northeast Pennsylvania are struggling to make ends meet. And, they say, the numbers don’t tell the whole story. Default is looming for the Scranton Parking Authority as city council refuses to release $1.4 million the authority needs by June 1 to pay debt, officials said. SPA notified the council last fall it would have a budget deficit in 2012 and would need council to fill the gap. Council set the funds aside in a contingency account that only council can release, thus forcing SPA and Mayor Chris Doherty’s administration to come back to council for the funds. As the city backs the SPA debt in question – and with the June 1 deadline fast approaching – the administration on May 10 requested emergency legislation from the council for the $1.4 million. But the council refused and demanded that SPA executive director Robert Scopelliti and city Business Administrator Ryan McGowan first appear before council on May 17 to explain why the funds are needed. Councilman Pat Rogan and council Solicitor Boyd Hughes went so far as to say SPA should be allowed to go into default. Lackawanna County and SWB Yankees LLC have reached a tentative agreement that officials believe will keep the New York Yankees Triple-A baseball team playing in Moosic for decades to come, the county announced Friday. The two sides resolved the final outstanding issues late Thursday night and handed the deal over to lawyers to reduce to a formal, written contract, Commissioner Corey D. O’Brien said. Both sides are confident enough in expecting a final written agreement that they have invited contractors to move in equipment to start work on the up to $40 million new stadium, where the team would play starting next year. 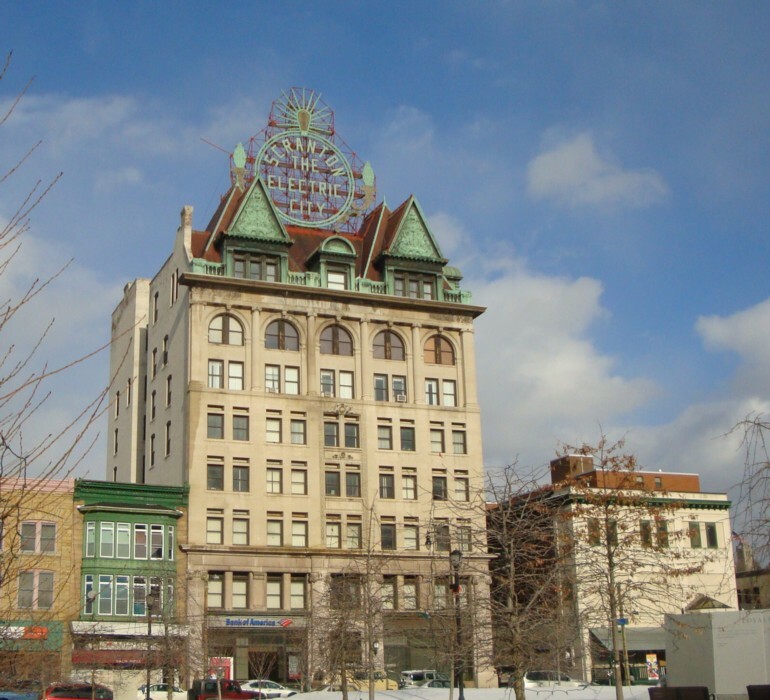 The City of Scranton, Pennsylvania’s seventh largest city, is a distressed municipality under Act 47. Further hampering Scranton’s recovery efforts are the 40-year-old property assessments being used by Lackawanna County. These out-dated assessments are literally starving Scranton for cash. Scranton is facing a $5.2 million dollar deficit in 2011 and $5+ million dollar deficits for several more years down the road. In the last 16 years the assessment value of city properties has increased less than one percent while market values have risen 35%! The other sad part of the story is the nobody has the $8 million dollars to pay for the reassessment implementation. The reassessment has been completed and it will take about six months to get an acceptable range. However, this is useless information until funding is secured. Scranton and Lackawanna County need to find a way to pay for the implementation. As the largest city in Lackawanna County and the Scranton/Wilkes-Barre Metropolitan Area, Scranton can not be allowed to go under. The burden of a failed city will fall on every taxpayer in Lackawanna County and beyond. We all will have to pay through increased taxes and fees. 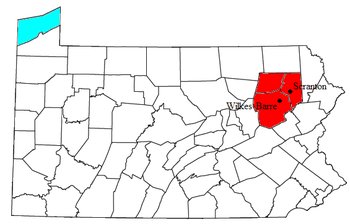 As a distressed city under Act 47, where is the Commonwealth of Pennsylvania in all of this? Some help is needed here if we ever want Scranton to recover and get off Act 47. Our cities are vital to the prosperity of Pennsylvania. Considering some of the crap in the state budget, I would think we could find money to fund or partially fund something as important as this.